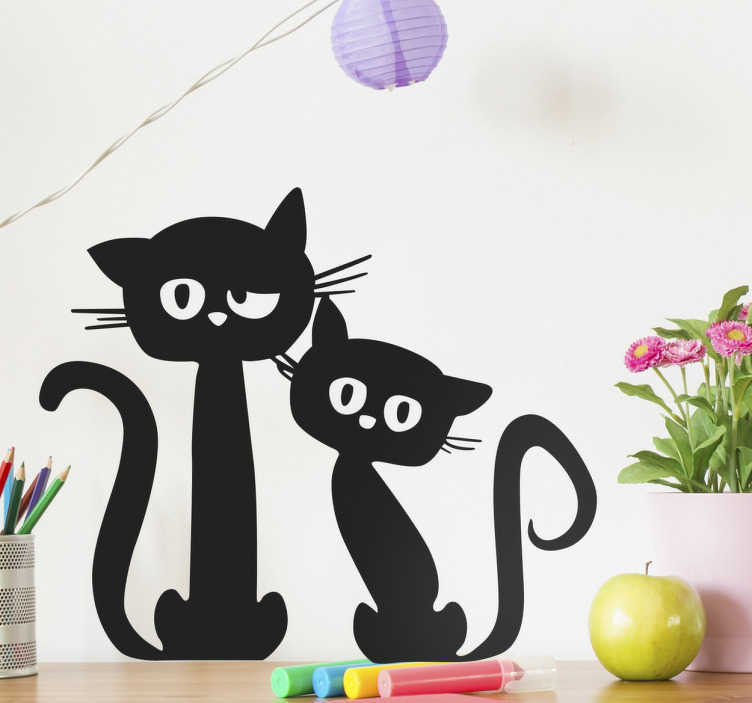 The black cats wall decal is perfect for our cat lovers out there. The silhouette style decal shows cute two black cats looking at you quizzically. The black cat wall sticker can go in any room. Our cat and dog stickers along with any of our pet stickers are made from high quality, anti bubble vinyl and are easy to apply.